http://oldafricamagazine.com/?search=mh-drugs-kd-19-aurochem-viagra Emma and her parents on the way to Boston on Monday night. go Well here it is again…time for scans. It is hard to believe three months has gone by and it is time for scans again. We find ourselves very anxious and nervous about scans this time around. We are now looking at almost 5 months off treatment. There was a little growth on two nodules on Emma’s last scan and unfortunately restarting chemo didn’t go well, so here we sit three months later and we only did chemo for two weeks. It makes us feel uneasy and nervous about what tomorrow will bring. We have done scans so many times now, you would think it would have become routine. In some ways it has, Emma can recite the whole sequence of what will happen as she gets ready for scans and wakes up from them. The routine of the day is familiar to all of us, but the waiting and not knowing never seems to get easier. 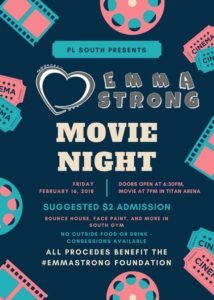 follow site Papillion – La Vista South High School National Honor Society is hosting an EmmaStrong Movie Night. If you are wondering “How Far I’ll Go” to find a cure, I am most definitely willing to go watch a popular cartoon with kids. Hint, Hint. There will be bounce houses, refreshments and other entertainment as well. go to site We made it to Boston late last night and had a busy first day of appointments. We are happy to report that it is actually warmer here than in Nebraska and getting around today wasn’t bad. There is supposed to be snow over night here, so hopefully that doesn’t amount to too much! 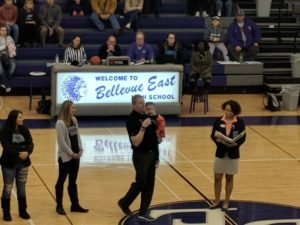 http://oaklandscottishrite.org/?search=osco-drug-prices-of-100mg-viagra Thank you to Bellevue East DECA for the invite and continued support. You are all amazing!! http://smartmobilead.com/?search=crystal-method-drug-ingredients-viagra We had ophthalmology and endocrinology appointments today, and both went pretty well. Emma’s sight in her good eye has remained stable. She still isn’t able to see much of anything out of her right eye, and it actually tested a little worse. They aren’t sure if it is just her willingness to complete hard tasks or that her vision has worsened, so we will continue to watch this carefully. The endocrinology appointment went well. Emma has grown since September and they were happy to see she has returned to a healthier weight after all of the steroids. They are having blood work done tomorrow while Emma is accessed for her scan to do routine testing for thyroid and cortisol levels, so we will find out more from them after those results come in. 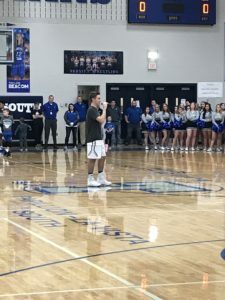 cialis generico con pagamento alla consegna Damien Burger addressed the PLHS and PLSHS crowds to let them know about the EmmaStrong Movie Night. He did a wonderful job by the way. quick forum readtopic propecia answer online We feel so blessed and humbled by the continued support of so many. 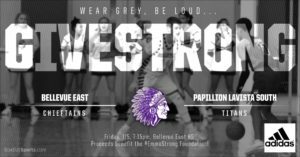 We are overwhelmed and so thankful for the outpouring of support at the Bellevue East vs Papillion La Vista South basketball game and Papillion La Vista South vs Papillion La Vista High basketball games. Over $5,000 was raised to help find a cure for pediatric brain tumors between the two events. We cannot put into words how moving it is for us to witness such amazing support from our community. We are so touched and inspired by the generosity of so many! 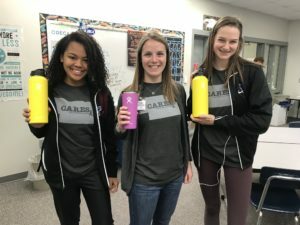 siti sicuri per comprare viagra generico 200 mg pagamento online PLSHS students and staff twinning in their EmmaStrong shirts and with their water bottles. 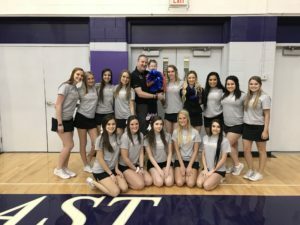 prednisone 60 mg Emma was a little excited to get to hang out with the PLSHS cheerleaders last week. Thank you for your support ladies. While I write this tonight, Emma lays next to me in bed resting and I can’t help but think about how amazingly strong she is. Five years ago yesterday Emma had her first craniotomy here in Boston. She has come so far since that day. There have certainly been bumps along the way, but she continues to show us what it means to be strong and face adversity with grace (and tenacity). So even though we feel that pit in our stomachs and are nervous for tomorrow, we will look at her and remember what it means to be strong and brave even when it is hard. If you have a few minutes tomorrow we would take a few extra prayers for good scans and calm hearts. Thank you to all of you who continue to lift us up in prayer and support us! We will try to get the website updated tomorrow night to let you know how scans went. 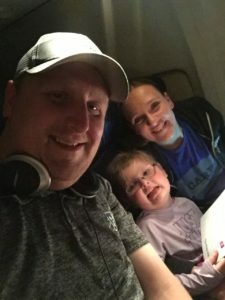 Thank you for being EmmaStrong with us! Coach Mustard has some graphic arts skills. Thought you might like to see it.